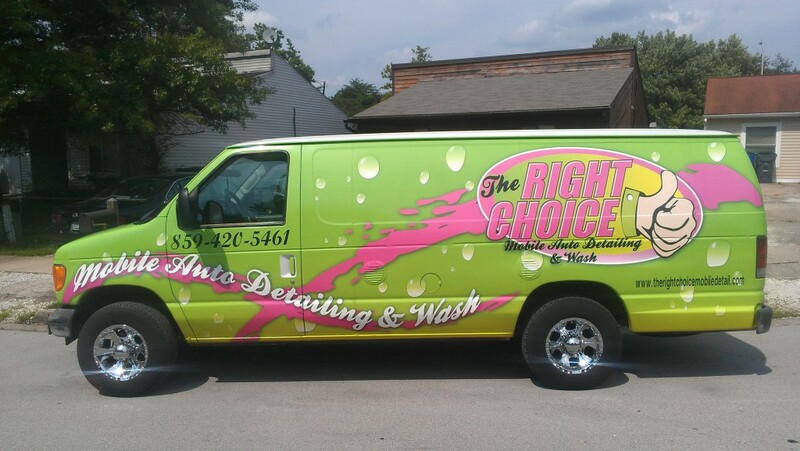 Welcome to the right choice mobile detail. We are a fully contained mobile detailing service that confidently performs high quality detailing onsite at your location. Whether its on your auto, boat, or RV; we will make sure you are happy and satisfied upon completion of all work. We are able to do this by using the finest auto detail products, experienced detailers, and being unique and fast for our customers. Our Mission is To become Lexington areas premiere mobile detail service by providing our customers with convenient, professional, pre-sale services and quality service at an affordable price. Reminder: Your vehicle is one of the most important and expensive things you use in your daily activities. It is very important to maintain the interior (carpets, seats, ect…) and the exterior (paint, chrome, ect…) just as you would your brakes and engine. Keeping your vehicle detailed helps it hold its value as the years cause great depreciation. When your vehicle is clean you also feel very good throughout the day giving you great spirit in whatever your challenges my be.